It started with one vendor accused of selling $30 hot dogs to unwitting tourists, but now New York City officials want to make it clear that food carts must have their prices listed for customers to see if they don’t want the long arm of the law to come knocking. The Department of Consumer Affairs has embarked on a “crackdown” on street vendors who aren’t displaying their prices, reports the New York Post, focusing its efforts on where tourists and visitors are commonly found. The agency’s inspectors have been told to pay special attention to vendors who either hide how much their items costs or just make them up on the spot. 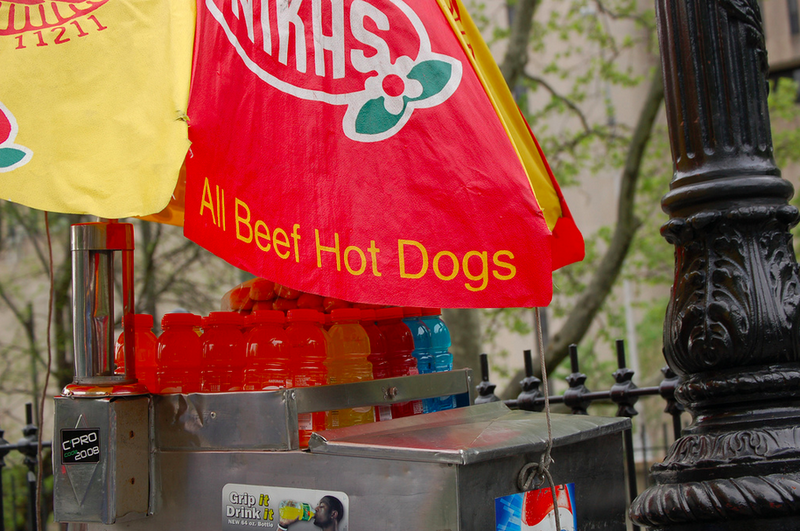 Along with the now infamous hot dog vendor caught on tape in downtown Manhattan, the NYP says it also spotted about a dozen vendors breaking the law around City Hall — in other words, right near the area where laws are made against such shady dealings. The paper says one vendor tried to sell a reporter a hot dog for $7, changing the price for the jumbo wiener to $8 an hour later. When asked to see his prices, he pulled out a sheet of paper with hot dogs listed at $4, and said the extra money was added on for sauerkraut no one asked for. Consumer Affairs officials say there have been 20 complaints about food vendor ripoffs since 2014. Anyone who encounters a cart without prices listed or is charged more than the posted price can submit a complaint to the agency online at nyc.gov/consumer or call 311 in NYC.